VNIIM and LNE-Cnam have collaborated for several years in the field of metal-carbon eutectic points. The first action was the construction of a Pt-C cell at VNIIM using the LNE-Cnam technique and cell design. The Pt-C cells constructed in each of the laboratories were studied and compared in the past. The two laboratories have followed their collaboration work by studying and comparing Co-C and Re-C cells. Different designs and filling techniques were applied. The melting and freezing temperatures observed on the Re-C cells from the two laboratories were measured at VNIIM. The Re-C and Co-C cells were compared at LNE-Cnam in the high-temperature blackbody furnace HTBB 3200pg which was thermally optimized before the measurements. The results of the comparison showed that the Co-C cells were comparable at the level of 0.03 K while the Re-C cells showed a large difference of melting temperatures of about 0.7 K. In this article, the cells used and the methodology of the comparison will be described. 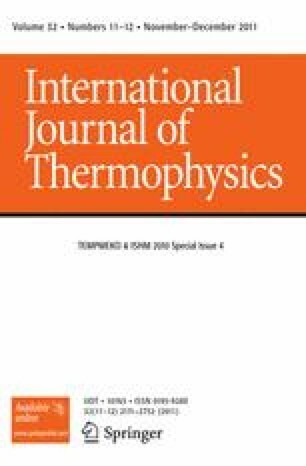 The temperature differences that were obtained at the highest temperature will be examined to propose an explanation for this temperature difference.